Governor George Pataki signed into law, effective October 1, 1999, the Payroll Limitation Law which is intended to provide a more equitable distribution of premium between high wage paying and low wage paying employers in the construction industry. Work performed in the construction, remodeling, maintenance or repair of one or two-family residential housing are excluded from the provisions contained in the Law. The law created three geographic rating territories that are used in calculating premium for employers subject to the new law. Therefore, an individual employer’s overall premium may increase or decrease depending upon the geographic territories in which the employer’s employees worked and/or the applicable payroll limitations. The following questions and answers are intended to provide information concerning the law and how payroll limitation affects the records currently maintained for workers compensation insurance premium calculations. Since the Payroll Limitation Law may reduce an employer’s workers compensation insurance costs, proper record keeping is important in order for an employer to receive full advantage of the benefits provided by this Law. What is the Construction Employment Payroll Limitation Law? For workers compensation insurance premium determination purposes, the Payroll Limitation Law applies a maximum payroll limitation for eligible construction classification codes. The Law does not apply, however, to employments engaged in the construction of one or two-family residential housing. What is the purpose of the Payroll Limitation Law? How does the payroll limitation work? Who is eligible for payroll limitation? Employers with payroll in the classifications shown in the New York Manual under Rule IX.I– Construction Classification Premium Adjustment Program. Are any construction employments excluded from the Payroll Limitation Law? Yes, any employments engaged in the construction of one or two-family residential housing. Example: The payroll limitation would apply to an employer subject to Code 5183 who performs plumbing work in a commercial or retail building. However, if the same employer performed plumbing work in one or two-family residential housing, then that payroll would not be subject to payroll limitation. Other than the payroll limitation, are there any other premium calculation considerations? Yes, the Law also created three (3) geographic territories for the purpose of varying the required manual rate off-balance between upstate and downstate employers. These off-balance charges are referred to as territory premium differentials. What are the three construction employment geographic territories? How does the payroll limitation apply? In determining premium, the actual weekly payroll of each employee for the eligible classification codes is subject to a maximum of the greater of $750 or the weekly wage upon which the maximum weekly benefit is based. Does payroll limitation apply to only new construction? No, the payroll limitation also applies to the remodeling, repair and maintenance of existing structures. Payroll limitation, however, does not apply to any construction of one or two-family residential housing. Are there any requirements of an employer entitled to payroll limitation? Yes, the Law requires an employer to maintain true and accurate weekly payroll records for each employee which shows each employee’s total weekly wages and hours worked by type of work performed, by geographic territory and whether or not the work was performed on one or two-family residential housing. In addition, overtime, vacation, holiday, sick and bonus pay must be segregated for each employee. What if an employer does not keep the proper records? First, the willful failure to keep proper records or the knowing falsification of any records may be prosecuted as insurance fraud under the Penal Law; and second, the employer would not be entitled to payroll limitation. In the absence of records, however, the territory premium differentials still apply. If only annual payroll is available for an employee, can the annual payroll be divided by 52 weeks to arrive at a weekly payroll? No, only the actual weekly payroll can be used. Suppose an employee did not work a full week. How is the payroll limitation applied? A partial week is considered a full week in determining an employee’s weekly pay for payroll limitation purposes. Are there any other requirements relating to payroll limitation? Yes, detailed employer records of wages, hours-worked and other information by job location is to be reported quarterly to the Department of Taxation. Contact the Department of Taxation for information regarding these requirements. What if an employee works part of the week in the construction of one or two-family residential housing and part of the week in commercial construction? The payroll must be segregated and the one or two-family residential housing portion should not be considered when applying the payroll limitation. The residential payroll is subject, in its entirety, to normal premium determination procedures irrespective of the amount of payroll that is included in the non-residential calculation. How does the payroll limitation apply if an employer’s payroll records do not segregate one or two-family residential employments from commercial employments? Payroll limitation does not apply in situations where it cannot be verified whether the work was performed on residential or commercial structures. However, the territory premium differential still applies. An executive officer is currently subject to a minimum and maximum remuneration. Which rule applies to executive officers – the Executive Officer remuneration rule or the Construction Employment Payroll Limitation rule? An executive officer engaged in the construction of commercial structures and assigned to an eligible payroll limitation classification code is subject to the Construction Employment Payroll Limitation rules and not the executive officer minimum/maximum remuneration. If the executive officer is engaged in the construction of one or two-family residential housing, then the current rules applicable to executive officers apply. How do the Payroll Limitation rules apply to a sole proprietor or partner? A sole proprietor or partner engaged in the construction of commercial structures and assigned to an eligible payroll limitation classification code is subject to the Construction Employment Payroll Limitation rules and not the sole proprietor or partner minimum/maximum remuneration. If the sole proprietor or partner is engaged in employments of one or two-family residential housing, then the current rules applicable to sole proprietors and partners apply. Is a sole proprietor or partner’s weekly draw subject to payroll limitation? No, the weekly draw is not subject to payroll limitation and the minimum remuneration, as shown in the New York Manual applies. How does the payroll limitation apply to uninsured subcontractors? When payroll is available for uninsured subcontractors, payroll limitation, including the application of territory differentials, applies. When actual payroll is not available, and the contract price is used in lieu of payroll, limited payroll does not apply. However, the territory differential applies to that portion of the contract price considered to be payroll. Does payroll limitation also apply to casual labor? Yes, all rules pertaining to payroll limitation also apply to casual labor. If an employee works in more than one geographic territory, but the employer is unable to provide the proper payroll records to determine the appropriate territory differential premium, what territory is used? In the absence of proper payroll records, the payroll is subject to the territory premium differential of the next highest territory to that of the employer’s home office or New York base of operations. When investigation of a specific job discloses that it was performed in the territory with the highest premium differential, all payrolls shall be assigned to that territory. If an employee works in more than one territory, in any given week, what territory is used in determining the territory differential premium? The territory in which the majority of each employee’s work was performed is used to determine the appropriate territorial premium differential. Are commercial construction wrap-up projects subject to payroll limitation? If an employee works on a wrap-up project and a non-wrap-up project during the same week, how are the territorial differentials applied? Each policy of a wrap-up construction project is to be treated individually. It is stated under the Wrap-Up Construction Project rule in the New York Manual that separate policies shall be issued to each eligible entity working on a wrap-up construction project, unless specifically excluded. Therefore, the payroll limitation and territory differentials will apply separately to each policy. Which territory premium differential applies to an employee engaged in construction and subject to the U.S. Longshore and Harbor Workers’ Act? The territory premium differential of the territory immediately adjoining the waters upon which the work was performed applies. If an employee’s payroll is below the payroll limitation maximum amount, does the territory premium differential still apply? Yes, the territory premium differential applies whether or not a limited payroll amount applies. Separate weekly payroll records, by employee, must be maintained to determine the appropriate differential. Territory premium differentials do not apply to the construction of one or two-family residential housing. Is the territory differential premium subject to experience rating? Yes, the territory differential premium is subject to experience rating. Which territory premium differential applies to vacation, holiday, sick or bonus pay? The territory differential for the home office or New York base of operation of the employer applies. The Payroll Limitation rule specifically states that payroll limitation applies to an employee’s actual weekly payroll. How does the payroll limitation apply to an employee who earns $1,500 bi-weekly? The Payroll Limitation Law does not allow for the averaging of payrolls. However, if an employee is paid other than on a weekly basis, the employee’s payroll amount is divided by the number of weeks that apply to a paycheck. Example: The payroll amount for the employee earning $1,500 bi-weekly is divided by 2 to arrive at a weekly payroll and the appropriate payroll limitation is then applied to each week’s portion. A commercial employer has one (1) full-time employee who earned $1,600 for a 40 hour work week. This same employer has four (4) part-time employees who each worked 10 hours and who each earned $400 for the week for a total of $1,600. How is the payroll limitation applied in each of these scenarios? The one (1) full time employee would be subject to the $750 maximum for the week. The four (4) part time employees would be subject to the $750 weekly maximum on an individual basis. A partial week is considered a full week under the payroll limitation program and no combining of employees who work less than a full week is allowed. An employer has a home office or base of operations in New York and uses New York employees for an out-of-state job. However, for premium determination purposes, the payroll for the out-of-state job is considered New York payroll. How is the territory differential premium determined? The applicable payroll limitation is used and the territory differential premium is based upon the home office or New York base of operations of the employer. The New York Manual states that payroll limitation applies after any deduction of extra pay for overtime. How are the remuneration exclusions treated? Payroll limitation applies after any exclusion from remuneration. Will the Premium Verification Program apply to policies subject to the Payroll Limitation rules? Yes, these policies will be test audited. Is an employer who is entitled to payroll limitation also eligible for a premium credit under the New York Construction Classification Premium Adjustment Program (PAP)? Yes, however, the basis for determining the credit is the limited weekly payroll, currently $750, for each employee for the total number of hours worked during each week (including any overtime hours) for each construction classification, other than the construction of one or two family residential housing (that is to be separated) for the third quarter for the year preceding the policy date..
Where in the premium calculation process is the territory premium differential applied? The territory premium differential is applied prior to experience rating. If a policy is subject to both payroll limitation and PAP, where is the PAP credit applied? The PAP credit is applied after experience rating and before premium discount. How are the territory differential premiums reported to the Rating Board? Please note that the above questions and answers are solely of an advisory nature and not binding. 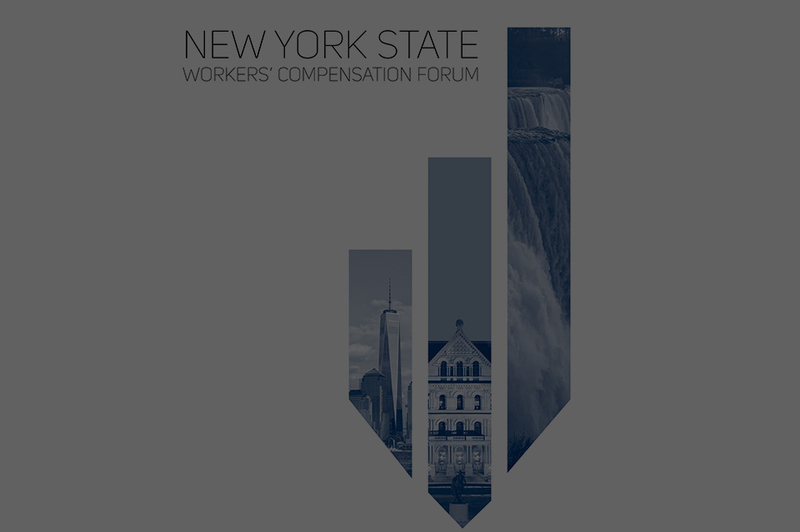 With respect to subsequent issues which may arise, the writing or auditing of policies are subject to the Construction Employment Payroll Limitation rules contained in the New York Workers Compensation and Employers Liability Manual.